Too many Mackerel !! A good weekend of fishing ahead. Another rough day on Chesil. Where can I fish today, as it is a bit too rough on Chesil? This is a question I hear a lot when it gets as windy and rough as it is today, so I have decided to tweak a post I wrote last year. When I got up yesterday I had a look down over Chesil from the West side of Portland and decided that the beach was pretty much unfishable. Although it is not so bad today it is certainly not very comfortable to fish. I was scheduled to run the River Cottage Shoreline course yesterday, but there was no way that I could hold it on Chesil, so I decided that I would try Preston Beach on Weymouth Seafront, and what a change in conditions that was. We managed some nice Bass with the best going just under 5lb. At least you have plenty of other options. 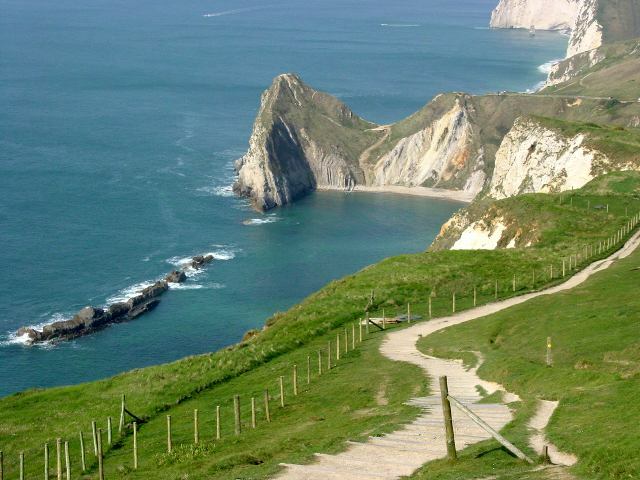 You could stay local to Weymouth and Portland and fish the East facing beaches that are much more sheltered. Portland Harbour offers Hamm Beach, Ferrybridge and Sandsfoot Castle that produce Bass and Flounder in regular numbers. You can also catch Mullet, Garfish, Mackerel, Pollock and Wrasse during the spring, summer and autumn. 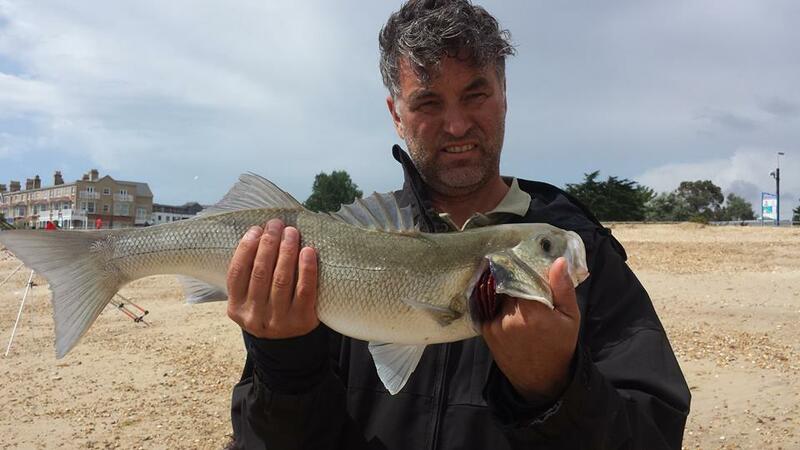 Preston beach is at the opposite end of Weymouth Bay from the Stone and Pleasure Piers can often produce some cracking fishing. Much under rated by locals, this beach regularly throws up Bass (as it did yesterday), Smoothound and Rays, as well as most of the smaller flatfish. The advantage of these marks is you can access them fairly easily. For some of the other fishing marks you are going to have to get your walking boots on. Head further east and there is a mark that is rarely fished and I believe in these conditions could produce some cracking fishing. The beach between Redcliff point and Osmington Mills will offer some protection especially more towards Redcliff. You have to walk either from Ossmington, or Bowleaze Cove and go down the cliff path to the pillbox on the beach, then head right (looking out to sea). 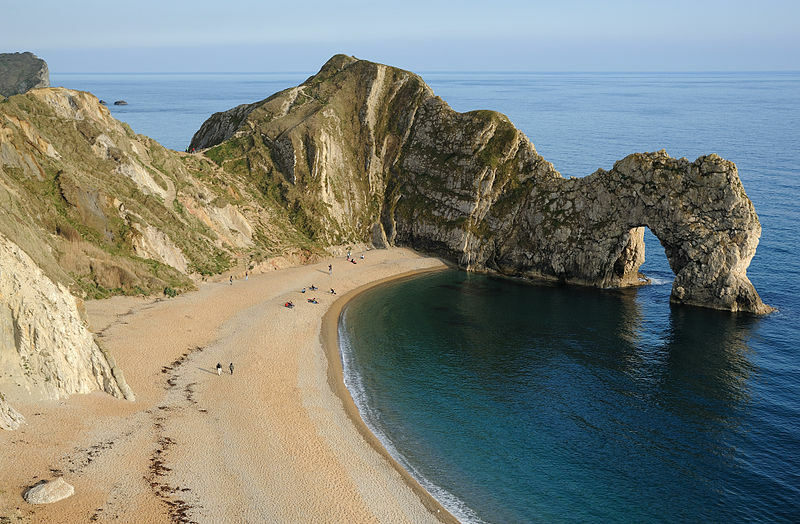 Next on the list is Durdle Door. Here it is a steep walk down to the beach. In a SW you can tuck in to the shelter on the opposite side of the iconic Dorset landmark. This can be a good mark, day or night. Wrasse and Pollock fishing can be prolific during the day when the weather is nice. In a gale it can produce Bass, Bull Huss and Conger. 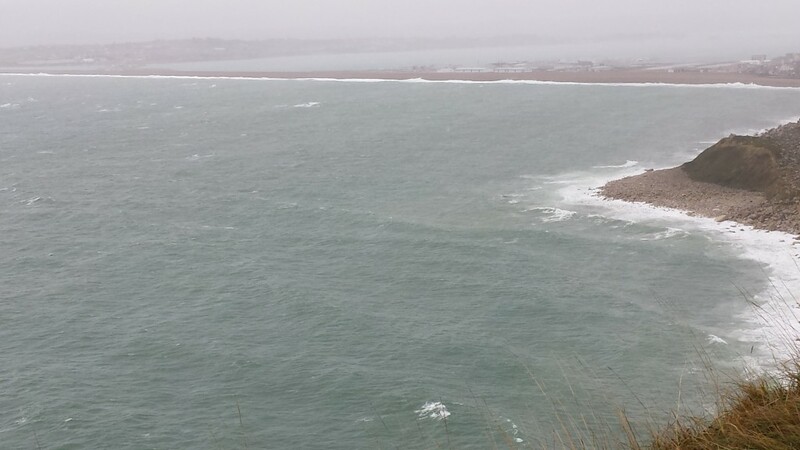 Chesil Beach: Waves exceeding 3m with coloured water. Chesil Beach forecast: Too dangerous to fish. Just wait for it to calm down a bit, then it should be fantastic. Portland Harbour: Hamm Beach and Ferrybridge are good back up marks in this type of weather. Go light and you will have a good chance of getting a Bass or a Flounder. Use lures all along the shoreline and you might be surprised at what might be out there. At this time of year there are plenty of Garfish, Mackerel, Scad, Pollock and bass in the harbour. The best lures are surface lures, or ones that fish just under the surface. I watched Pollock hit the bait fish all along the rocks around Portland Marina yesterday. Weymouth Bay: As usual the piers will provide a number of different species, though most of them will be small, you can always get a good one if you are lucky. The beach that looks good at the moment is Preston. A good line of surf will have the Bass feeding close to the shore. Go light with a single rod baited with Ragworm and you will get plenty of Small Bass and there is always the chance of a big one there as well. Fishing Tails > All Articles > Reports > Chesil Beach > Another rough day on Chesil.